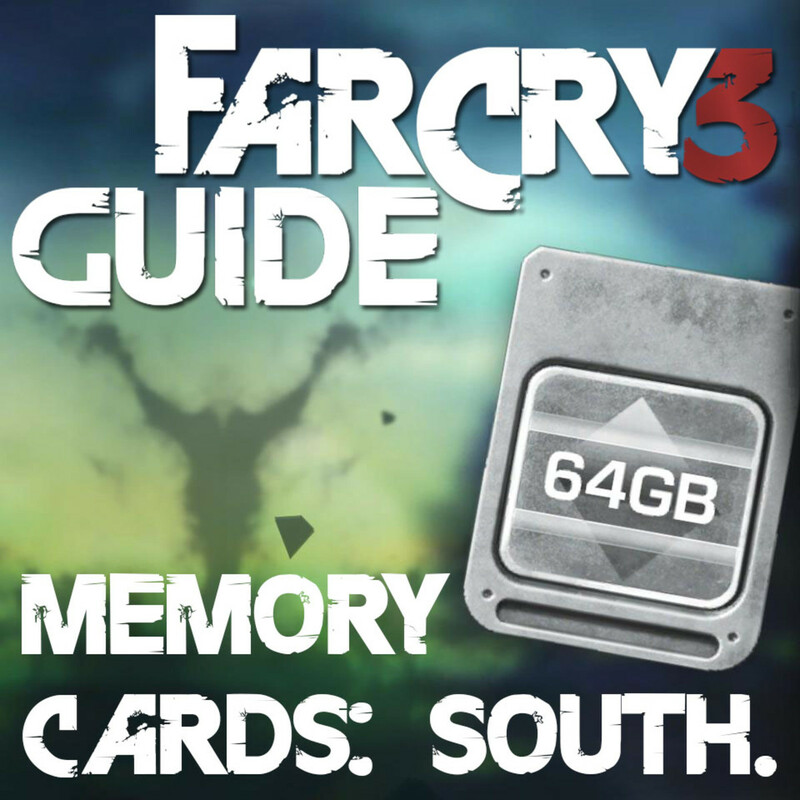 Far Cry 3 Memory Cards Locations Guide - Memory to Spare - South Island. 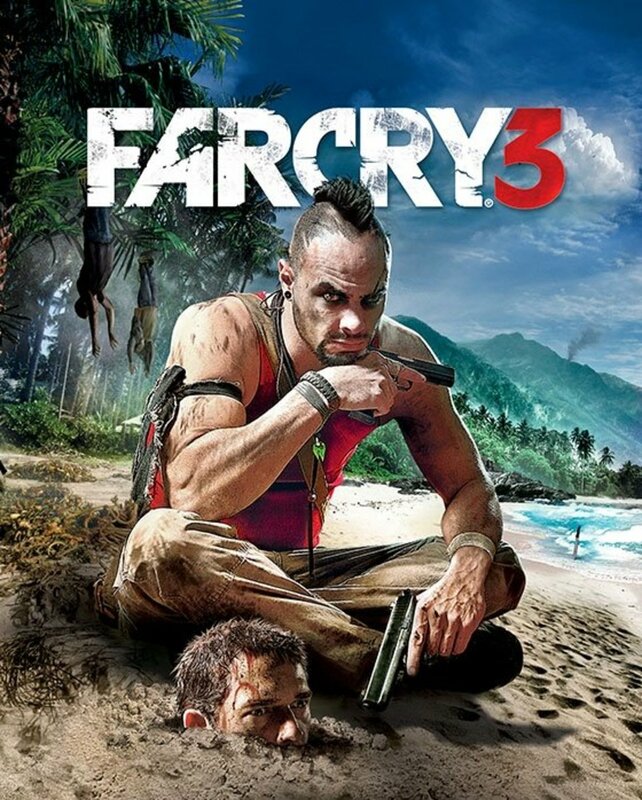 Far Cry 3 - Memory to Spare. 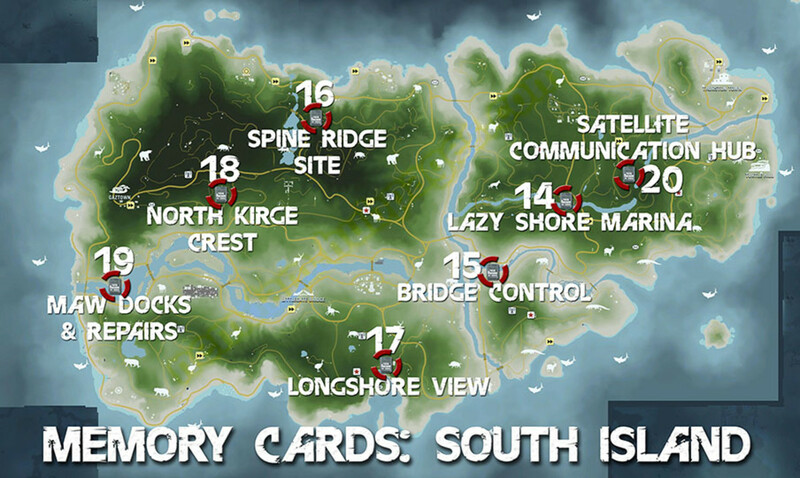 Find all the Far Cry 3 memory cards on the southern island! 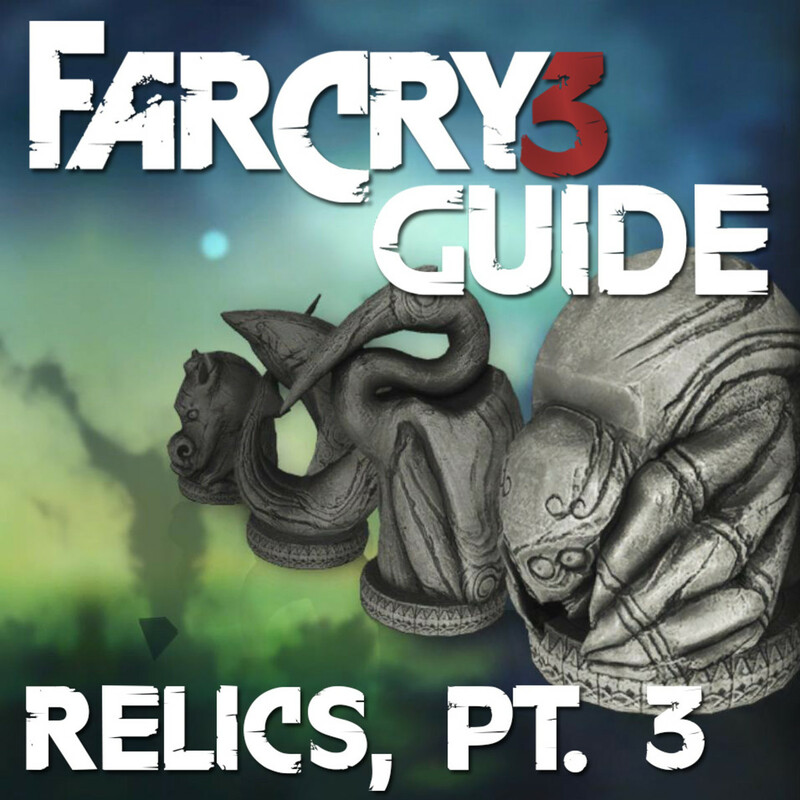 Welcome to the Far Cry 3 Memory Cards Locations Guide Part 2 - South Island. 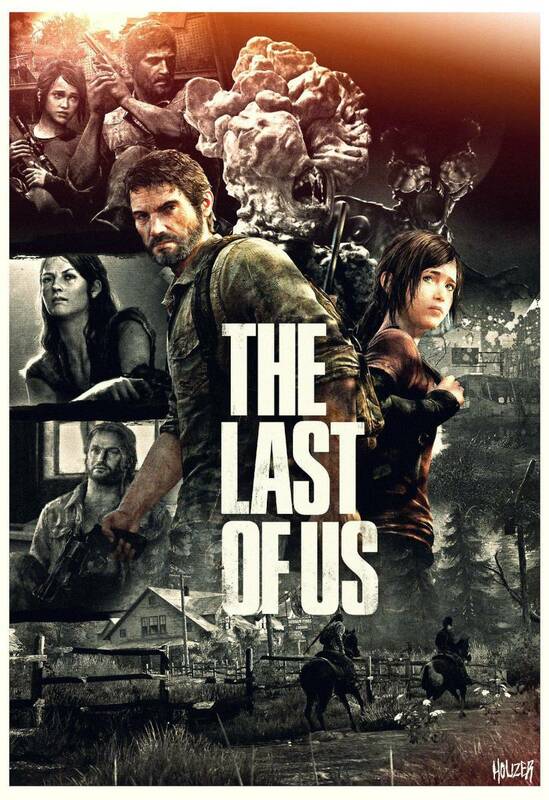 In this guide you will find a map with all the outposts which have memory cards marked. The collectible memory cards in Far Cry 3 are for the achievement Memory to Spare. I have also included screenshots of the memory card handbook entries in case you're curious! All of the memory cards are found within the "safe house" area of each outpost: the buildings with red doors and the automated equipment vending machines. Look for the laptops with a golden glow! Memory cards 14, 15, 16, 17, 18, 19 & 20. Looking for the northern island's memory cards? 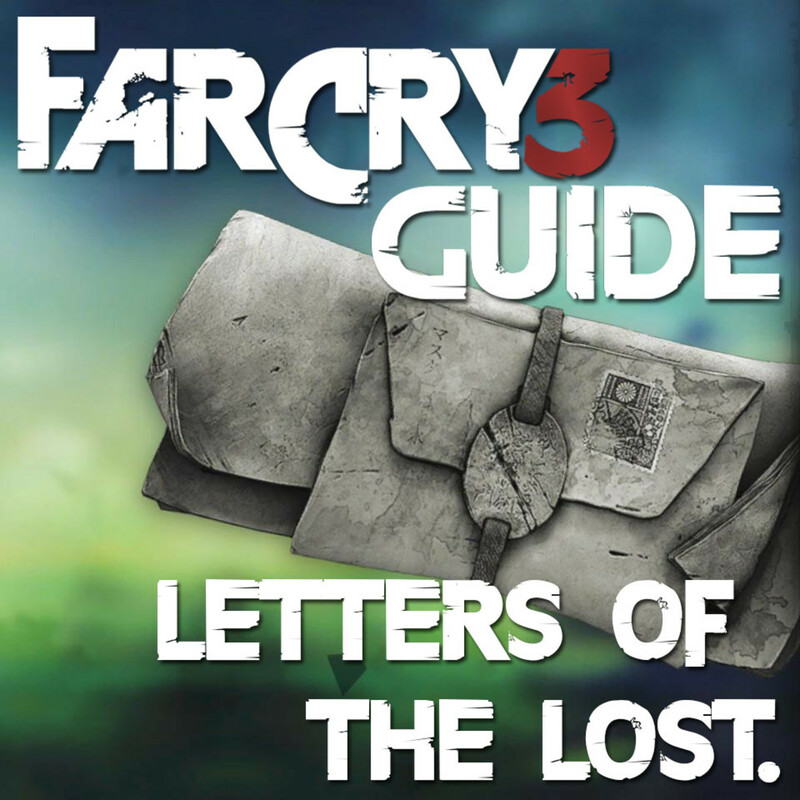 Far Cry 3 Memory Cards Locations Guide - Memory to Spare - North Island. 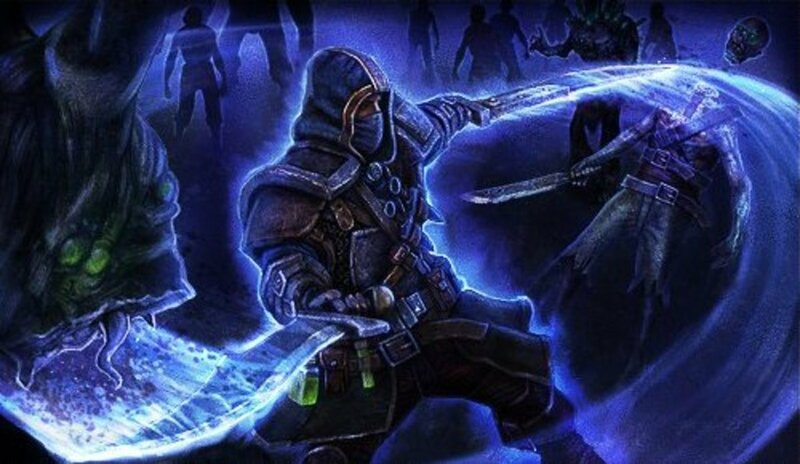 For my other Far Cry 3 guides please visit my profile, or look below the content of this hub, above and below "Discover More Hubs". Far Cry 3 Memory Card Locations Map - South Island. 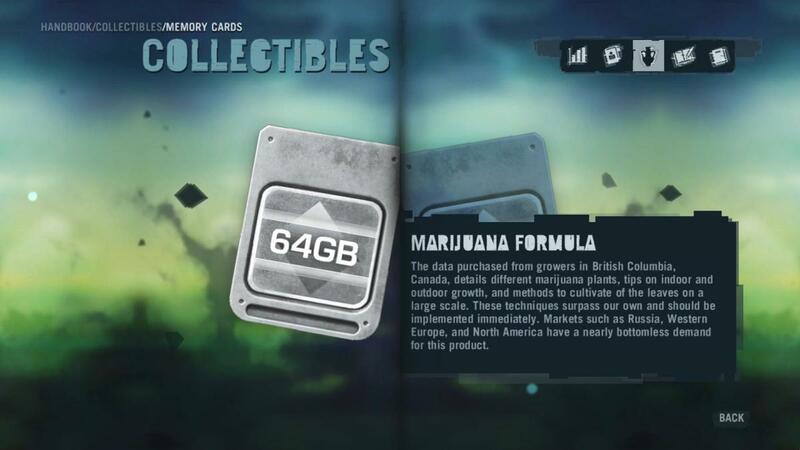 Far Cry 3 Collectibles: Memory Card 14. Memory Card 14 is found inside the safe house at the Lazy Shore Marina outpost, upon the glowing laptop. This outpost is just north of the river running through the middle of the eastern area of the south island. Collectibles - Memory to Spare achievement: Memory Card 14. Far Cry 3 Collectibles - Memory to Spare achievement: Memory Card 14. 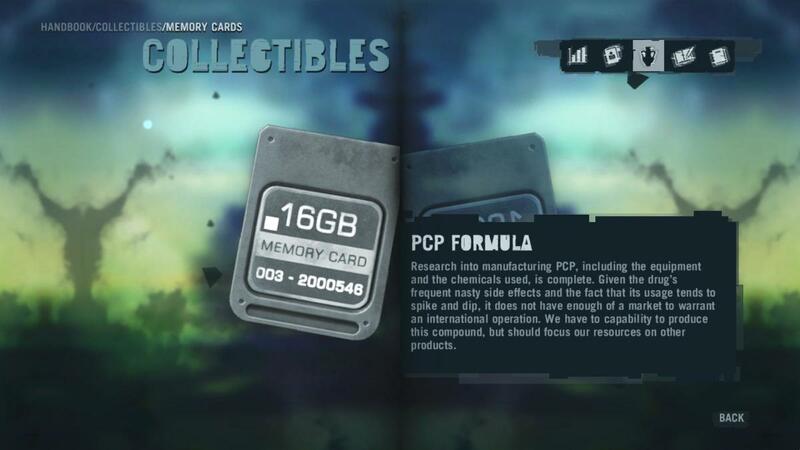 Far Cry 3 Collectibles: Memory Card 15. Memory Card 15 is found inside the safe house at the Bridge Control outpost, upon the glowing laptop. This outpost is just east of the main river running from the north to the south of the southern island. Collectibles - Memory to Spare achievement: Memory Card 15. Far Cry 3 Collectibles - Memory to Spare achievement: Memory Card 15. 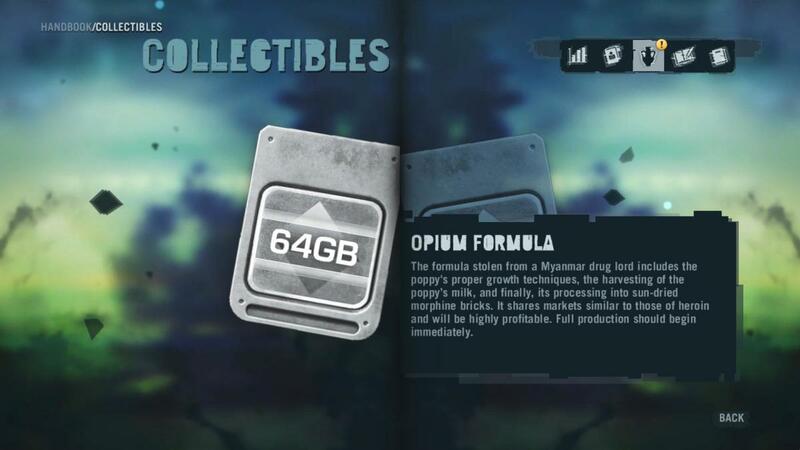 Far Cry 3 Collectibles: Memory Card 16. 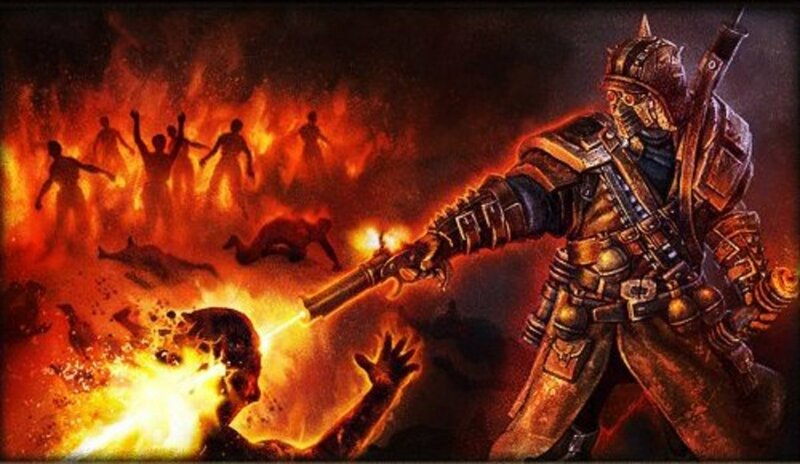 Memory Card 16 is found inside the safe house at the Spine Ridge Site outpost, upon the glowing laptop. This outpost is just south of the northern coast of the southern island, nestled at the edge of the mountains. Collectibles - Memory to Spare achievement: Memory Card 16. 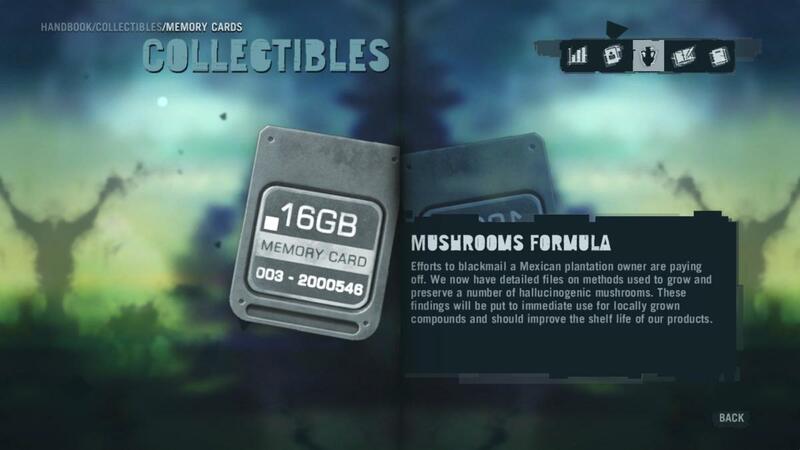 Far Cry 3 Collectibles - Memory to Spare achievement: Memory Card 16. 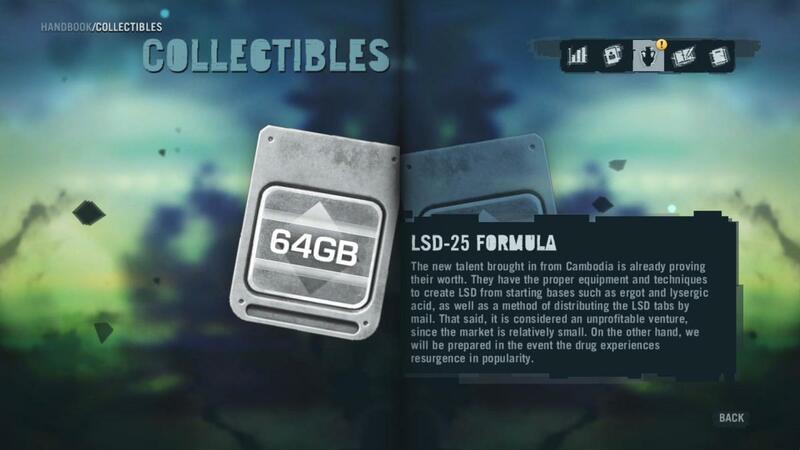 Far Cry 3 Collectibles: Memory Card 17. Memory Card 17 is found inside the safe house at the Longshore View outpost, upon the glowing laptop. This outpost is just north of the cove on the southern edge of the south island. Collectibles - Memory to Spare achievement: Memory Card 17. Far Cry 3 Collectibles - Memory to Spare achievement: Memory Card 17. 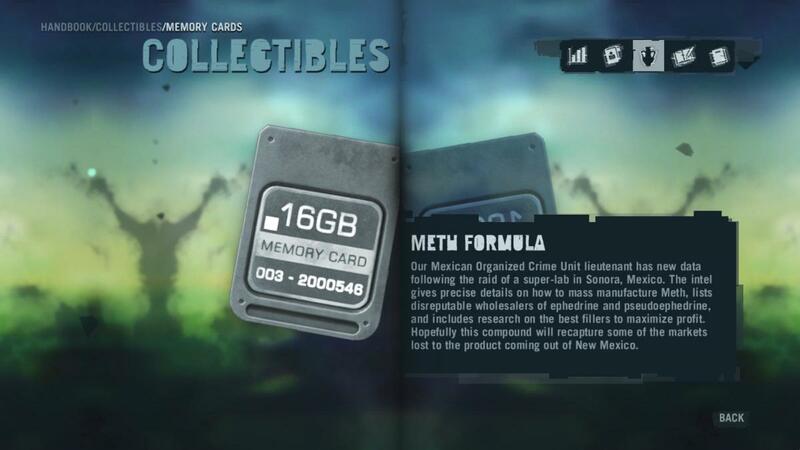 Far Cry 3 Collectibles: Memory Card 18. Memory Card 18 is found inside the safe house at the North Kirge Crest outpost, upon the glowing laptop. This outpost is north of the main river flowing through the western side of the southern island, at the southern edge of the mountains. Collectibles - Memory to Spare achievement: Memory Card 18. Far Cry 3 Collectibles - Memory to Spare achievement: Memory Card 18. 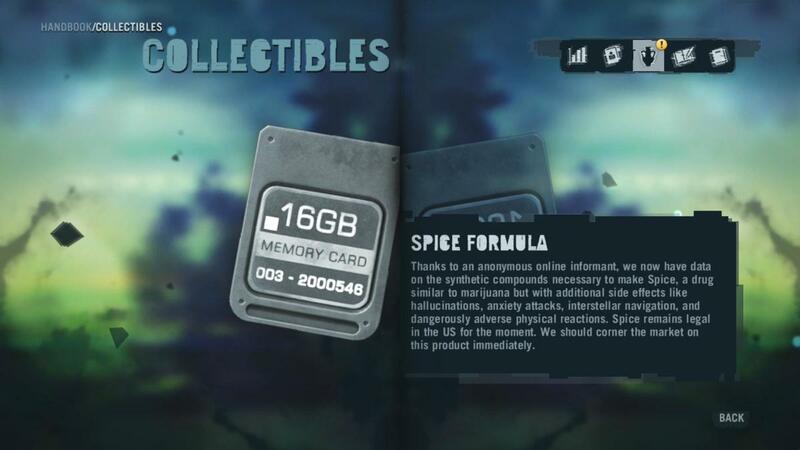 Far Cry 3 Collectibles: Memory Card 19. Memory Card 19 is found inside the safe house at the Maw Docks & Repairs outpost, upon the glowing laptop. This outpost is to the far west of the southern island, on the northern edge of the main river running through the island's west side. Collectibles - Memory to Spare achievement: Memory Card 19. Far Cry 3 Collectibles - Memory to Spare achievement: Memory Card 19. Far Cry 3 Collectibles: Memory Card 20. Memory Card 20 is found inside the safe house at the Satellite Communication Hub outpost, upon the glowing laptop. This outpost is just off of the river running through the island's east side; to the west of Turtle Hill. Collectibles - Memory to Spare achievement: Memory Card 20. Far Cry 3 Collectibles - Memory to Spare achievement: Memory Card 20. 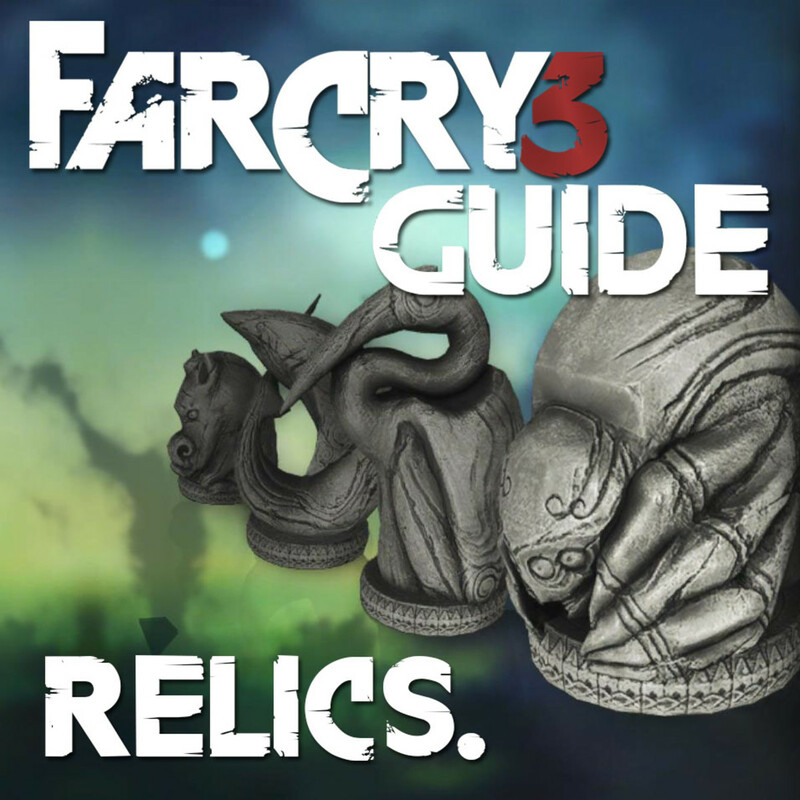 Far Cry 3 Relics Locations Guide - Archaeology 101.